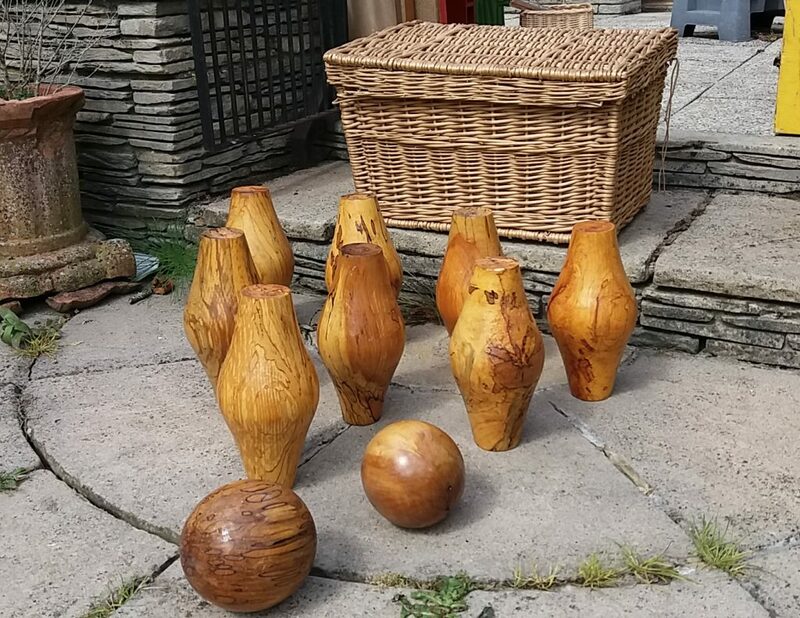 Set of 8 classic large skittles with two balls. Lovely vintage set which is ideal for garden parties, weddings and vintage events. 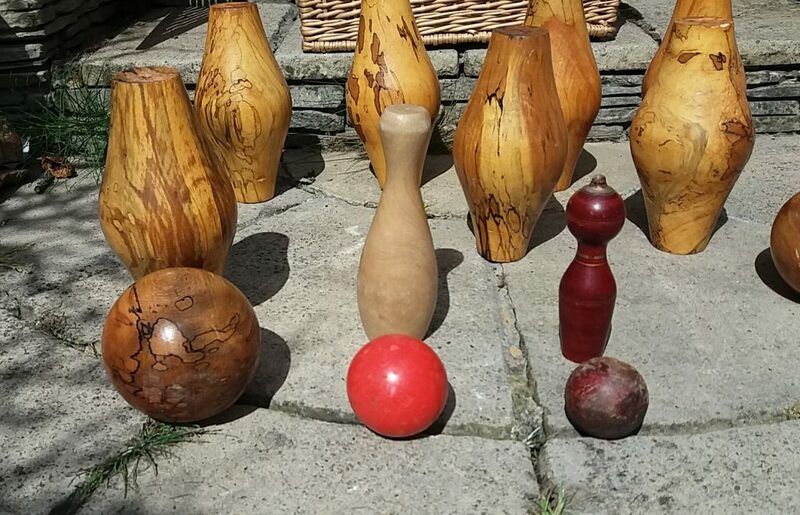 Skittles are heavy and are 10″ high (26 cm high).